Two people are charged in a double homicide on New Year's Day. DURHAM, N.C. (WTVD) -- Durham police have charged two people in connection to a double homicide that happened in the 2000 block of House Avenue on New Year's Day. 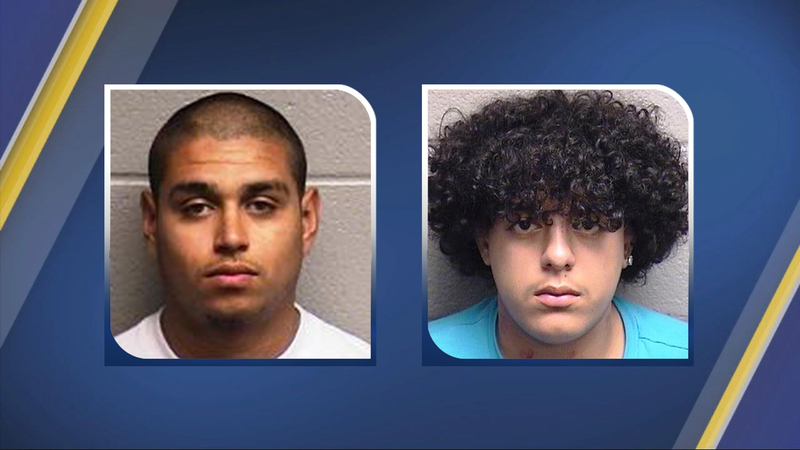 Investigators arrested Jonathan Cabrera, 18, of Durham and charged him with two counts of accessory after the fact of murder. Jose Manuel Vargas-Regino, left, and Jonathan Cabrera. Police said 24-year-old Murilio Zurito Domingo and 26-year-old Bertin Vasquez Mendoza were both shot and killed. It was the second deadly double shooting in Durham on New Year's Day. Anyone with information on the whereabouts of Vargas-Regino is asked to call Investigator M. Evans at (919) 560-4440, ext. 29336 or CrimeStoppers at (919) 683-1200. CrimeStoppers pays cash rewards for information leading to arrests in felony cases and callers never have to identify themselves.